For those who prefer to wait for the trades to pick up MTMTE. Volume 7 includes the Days of Deception storyline that ran through issues #34-38. Seriously, though, this is another week that hits hard, with More Than Meets The Eye #21, Robots In Disguise #21, and Transformers Prime: Beast Hunters #5 all in stores today. Brace yourself, maybe stock up on hard liquor, and get yourself to the comic shop! Then check back her for a spoiler-filled review of MTMTE! UPDATE: Looks like your load has been lightened by one, as Robots In Disguise #21 has been delayed. Here’s hoping it shows up next week! Today the Comic Book Fairy brings us ReGeneration One #0, a one-shot special featuring an assortment of artists from throughout Transformers history, and the Robots in Disguise Vol. 4 trade. Go say hi to your Local Comic Shop folks and gird yourself for next week’s tear duct-shattering More Than Meets The Eye #21! Seriously, not even any super-limited graphic novels this time. But if you’re going to the store there’s a big crazy X-Men event starting up, and something’s going on with DC’s villains, and Death’s Head fan Kieron Gillen’s creator-owned book Uber has an issue out today. Or you could reread one of the three books that came out last week. If your store ordered any and you’ve got $125 to drop, Diamond is shipping the Last Stand of the Wreckers Red Label edition to shops, but that’s the only Transformers book shipping this week. 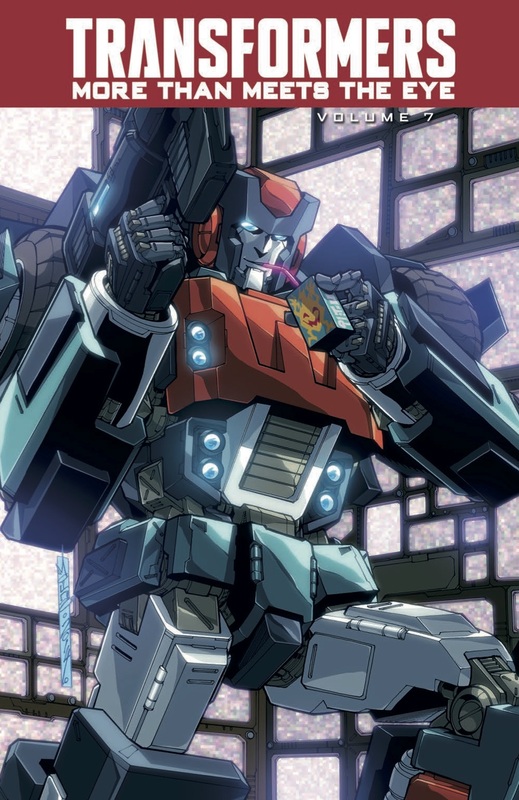 But don’t worry, it looks like August 28th is going to hit like a sledgehammer with MTMTE, ReGeneration One, and Beast Hunters all out on the same week. Spend this week preparing your Feels! 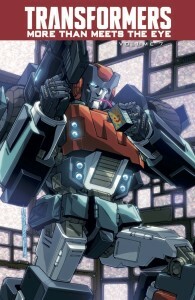 There are no individual-issue Transformers books out this week, but hitting stores is the TPB collection of the Spotlight one-shots, Spotlight: Megatron, Spotlight: Orion Pax, Spotlight: Bumblebee, Spotlight: Thundercracker, and Spotlight: Hoist, under the title of “Dark Prelude”. Also in stores this week is Jim Sorenson’s Transformers 30th Anniversary Collection, a massive hardcover looking back at 30 years of Transformers comics. At $50 this might be one for the Christmas wish-list, but it’s a beautiful collection that’s well worth having.